Did you know 1.57 billion people worldwide will soon celebrate the festival of Ramadan? In this, there are bound to be a number of workout enthusiasts, bodybuilders and exercisers. 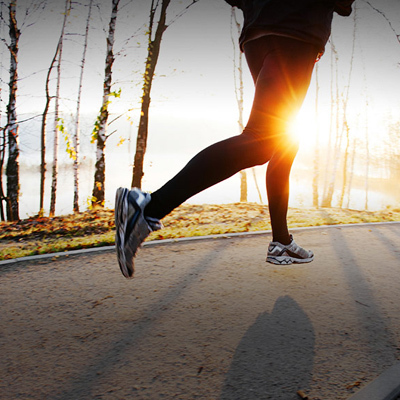 How do you observe Ramadan and sill continue to maintain your health and fitness goals? The most important tip is you don’t have to stop exercising during Ramadan. Your body has achieved a certain level of physical competency and muscle mass, which if not paid attention to during the festive season will slowly go back to its prior state. You will find yourself gaining weight or losing muscle mass you had worked so hard to achieve. First and foremost, you must adjust intensity. You may have been able to lift heavy weights during your regular routine, however, during Ramadan you have to fast between 8 and 10 hours. It is certainly a busy day. Instead of adjusting your workout time, you can adjust the intensity that goes into the workout. It is your carbohydrates that help you increase the intensity of your workout, and in this instance, your carbs are depleted. The best way to combat this is by lowering the workout intensity. You can also adjust the number of rep in your routine. If you prefer to stray on track with the weights you usually train with, you can reduce the number of reps, for example, from 15 to 12. If you have followed small diets of protein during the day, you would know you cannot do it during the fasting season. But, if you can have a fairly big meal before Fajr, (in the mornings) and a larger one in the evenings (Iftar) containing protein, it will stay in your body quite a while, as proteins take much longer to be absorbed by the body. Remember, you should also incorporate carbohydrates and this can be done in the morning. As mentioned above, carbs give you the intensity to workout, so loading on cabs in the morning will help you use that up as energy during your exercise routine. You will have to adjust workout times. Work out when your carbohydrate reserve is high, and that is usually during morning hours. If you workout much later in the day, you would have used your carb reserve and would certainly feel drained and in no position to exercise. Remember, not everyone can workout during the fasting period. At the same time, many people can’t be without their workouts either. What you need is flexibility. Workout when you feel like working out. When do you feel the most energetic? This is the best time to exercise. Do not be in a hurry to get it finished fearing you would lose your carb reserve. This does not happen, although in theory you would think your carbohydrate reserve would be left over if done hurriedly. Don’t forget to take plenty of fluids. During Ramadan, you cannot drink when thirsty. Load on fluids preemptively, before it gets to the point of thirst. As much as there is fasting, Ramadan is also the month of tasting. A number of people are known to gain weight during this season. Don’t go on a food spree at break-fast. You do not have to makeup for what you lacked during the day. You have your protein which is certainly essential, but keep track of the calories you consume.